The giant mall would be located miles from the environmentally sensitive Everglades. A gigantic $4 billion retail and entertainment complex won government approval Thursday, May 17, 2018 after years of debate, green-lighting what promises to be the largest mall in North America, just a few miles from the environmentally sensitive Everglades. The Miami-Dade County Commission voted 9-1 to approve American Dream Miami, which would be built on 175 acres (70 hectares) of now vacant land at the busy confluence of Interstate 75 and Florida's Turnpike, northwest of Miami International Airport. Plans call for hundreds of retail shops and restaurants, but the developers don't want people to call it a mall. They're pointing to its planned theme-park attractions such as an indoor ski slope, submarine ride, water park and skating rink, along with 2,000 hotel rooms. "We're not building a mall. We're not in the mall business," said Don Ghermezian, president of Canada-based developer Triple Five. "This is a park that is meant to compete with the best parks in America." 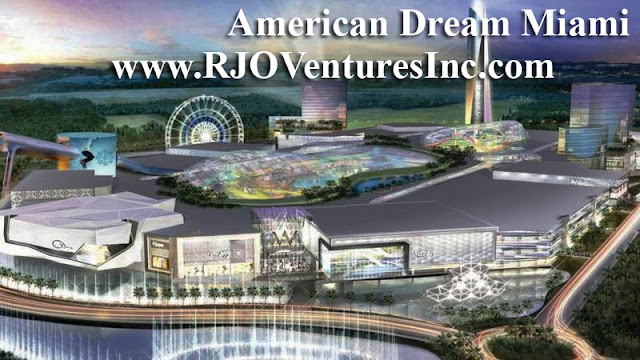 American Dream Miami would be about 1.2 million square feet (111,400 square meters) larger than Mall of America in Bloomington, Minnesota, a similar entertainment and retail center that was also developed by Triple Five and is now the largest on the continent. Triple Five estimates it would draw some 30 million visitors a year and as many as 70,000 separate vehicle trips every day. Neighboring Broward County has threatened to sue if developers don't address gridlock — and tens of millions of dollars have been pledged by Triple Five to widen roads, pay for additional buses and so forth. Developers say the project — which still needs to obtain 32 local, state and federal permits — will create at least 14,000 permanent jobs, as well as thousands more during construction. "It is the most significant project that has been done in Miami-Dade County," said Commissioner Jose "Pepe" Diaz, whose district includes the complex. "It's a good day for us." Environmental groups say it's too close to the Everglades, threatens the region's drinking water, could be swamped by rising seas and will require vast amounts of electricity. "This place is a treasure house of public lands, nature, wildlife and beauty," said Matt Schwartz, executive director of the South Florida Wildlands Association. "There is nothing positive about this project whatsoever." Miami-Dade Approves Megamall That Would Be Largest In U.S. Featured at RJO Ventures, Inc.